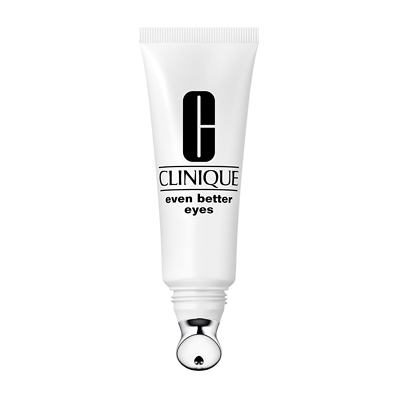 A friend recommended Clinique’s Even Better Eyes to me almost a year ago, and I’ve been using it exclusively ever since. As someone who has always suffered from dark circles under the eyes which have grown increasingly puffy as I’ve aged, I’ve really had the odds stacked against me from the start: as well as food intolerances I have insidious allergies to just about everything from dust mites to trees (that’s right, according to NHS prick-tests I’m allergic to indoors AND outdoors), all of which are contributing factors to under-eye issues. Unfortunately, as well as dark shadows being hereditary in my family, I’m also hypothyroid (have a low thyroid) which according to Wikipedia adds puffiness to the under-eye area “due to infiltration with the mucopolysaccharides hyaluronic acid and chondroitin sulfate, pulling fluid into the interstitial space by osmosis.” I also have ongoing sinus issues as well as an additional medical condition – all of which I’m told add to the dark circles. If you follow Traditional Chinese Medicine, then you’ll know the under-eye area relates to various kinds of kidney deficiency, which pertains to me and my particular chronic health condition (thank you Mr Acupuncturist for this enlightening information!). If TCM doesn’t float your boat then you’ll still be aware that poor sleep doesn’t help the rings under your eyes, and I don’t know anyone who gets enough sleep these days! Since I can tick off nearly every potential issue on the under-eye checklist I’ve been seeking a product to at least disguise the damage wrought by life, the universe and everything. So after nearly a year of dedicated use, how does Clinique’s Even Better Eyes shape up? Well, let’s start with the application: EBE comes in a small tube with a slanted tip, shaped to spread the cream around the under-eye area. This feels kind of nice: a bit like a cool, gentle massage. I’m thinking physically getting things moving twice a day in an area that’s generally neglected will surely help shake things up for the better. The EBE cream itself has a subtle shimmer that’s actually quite pretty, and according to Clinique, is intended to “brighten all skins, fair to deep”. That said, it’s not a replacement for concealer, more a little helping hand with hydration. It’s clearly a skin treatment, not a cosmetic. Needing only the tiniest amount of EBE means the cream lasts a long time, balancing out the high price. But is it worth it? For me this has been one of those experiences where I’ve noticed the change more after not using EBE, if you see what I mean. Since finishing the tube I deliberately left a fortnight to see what would happen and yes, my eye bags did look mildly more pronounced for the absence of EBE. Essentially, I don’t believe any product can fundamentally change the actual dark circles under the eye, since as you’ve read above there are so many underlying reasons people can have issues in this area (yes, there was a point to the first half of this post). But I do think that eyes can be helped to look brighter and less puffy, and because of this I would consider using Clinique’s Even Better Eyes again – though not until I’d compared it to every other treatment on the market. For now, I’m onto the next eye-saving product – so let the unscientific testing recommence! 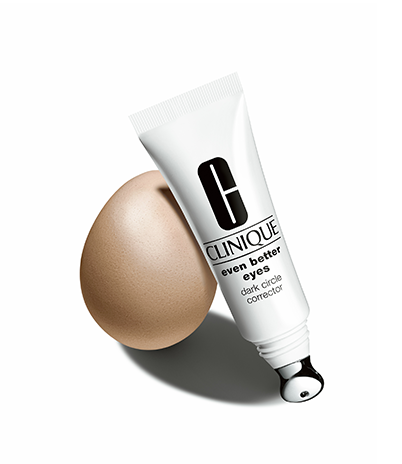 Even though for me it didn’t do what it said on the tin and correct my dark circles, I’d rate Even Better Eyes by Clinique 7/10, because I found it does mildly improve the area under the eyes after extended use.